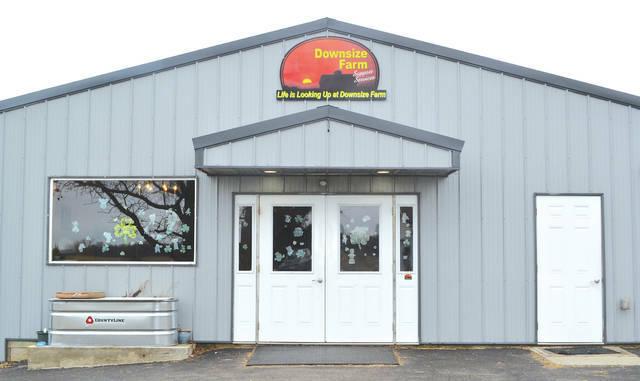 Downsize Farms is leasing a large building at 4815 Urbana Road near the intersection of state Routes 72 and 334, south of Urbana. Downsize Farms is based at Bob Custer’s house and farm in Woodstock. A locally-grown program to help local residents with developmental disabilities maximize their potential has expanded into a neighboring county. Downsize Farms is leasing a large building at 4815 Urbana Road in Clark County near the intersection of state Routes 72 and 334, between Urbana and Springfield. The plan is to operate a shred mill and wood shop in the structure by June 1. Downsize Director Bob Custer said he has several other ideas for the building, such as offices, a coffee shop or an event center. Downsize has established locations near Cable and in the city of Urbana. “It was operated by the county, and the state no longer allows counties to operate their own services,” said Pearl Cline, program director. “There has to be a division between case management and providing of services, so that stopped workshops being run by counties. Now they’re privatized… Their shred mill was part of a day program, so because it can no longer be operated, we are partnering with them to take that out of the county run workshop and into a private provider status. Custer said Downsize is using it for a social enterprise business. “We’re still working out the kinks, but we’re helping people learn to work in the community,” he said. The new building is being leased to Downsize Farms courtesy of a partnership with Woodruff Enterprises, which had been using the building for storage. Custer claims that no one had been in the building for two years, and that it is now being leased to them at a very reasonable rate. Custer said they plan to sell the shredded paper, which will bring income to the business and make it financially sustainable. The plan for the shred mill, as well as any other businesses that may be located inside the building, is to give adults with developmental disabilities the opportunity to learn how to work and become employable within the community. According to Cline, one of their premises is that they don’t ask businesses to employ somebody who is not a benefit to them. This process of offering job opportunities to developmentally disabled individuals will help them discover how they can be valuable to other businesses. Downsize Farms began about 12 years ago and was motivated by Custer’s desire to find employment opportunities for his own two sons with Down syndrome. Five years ago they established the Just Right Jobs center to give developmentally disabled individuals the opportunity to work with the general community. Today the Custer boys are both 25 years old, and an additional 13 staff and 40 clients participate in daily events at Downsize Farm. Custer said he is hopeful that the new building will allow them to expand their programming in new ways, and that he plans to host an open house with tours of the facility closer to it’s unveiling in June.